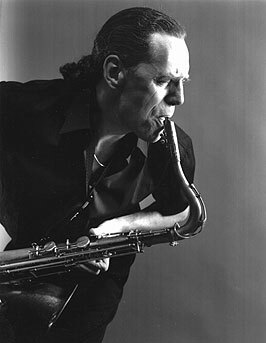 Born Lucerne, 1952; saxophones, composer. Urs Leimgruber has undertaken concert tours in Western and Eastern Europe, USA, Canada, South America and Japan, and appeared at concerts and on recordings with such musicians as Steve Lacy, Fred Frith, Evan Parker, Joe McPhee, Lauren Newton, Michel Doneda, Keith Rowe, Günter Christmann, Sunny Murray and Günter Müller among many others. 1976,	His Master's Bones,	Cuneiform Rune 89. Gary Windo. On two tracks on compilation. 1977,	OM with Dom Um Romao,	Japo/ECM. 1978? Solar plexus,	Indian 1002. with Bobby Burri. 1979/1982,	Half a lifetime, Unit Records UTR 4068. Two tracks of 'OM and guests'. 1983,	Reflexionen, Timeless SJP 199. 1985,	Reflexionen Live, Timeless SJP 234. 1985,	Mountain hymn, Bellaphon LR CD 45002. Duo with John Wolf Brennan. 1986,	An chara, Bellaphon LR CD 45007. Duo with John Wolf Brennan. 1988,	Statement of an antirider,	HatArt 6013. 1988/1989,	M.A.P., Bellapohon LR CD 45021. With John Wolf Brennan and Norma Winston. 1989,	Polyphyllum, Bellapohon LR CD 45013. Duo with John Wolf Brennan. 1990,	Linear B,	HatArt 6057. Joe McPhee Po music. 1990,	Old eyes and mysteries,	HatArt 6047. Joe McPhee Po music. 1990,	Christy Doran's Phoenix,	HatArt 6074. Duo between Christy Doran and Urs Leimgruber. 1992,	Goletter,	Unit UTR 4050. 1993,	DuHo,	Unit UTR 4062. 1994,	Behind the night,	B&W 049. 1994,	Deep time,	Deep Listening DL 32-2005. Fritz Hauser. 1996,	No try no fail,	hatOLOGY 509. Trio with Joëlle Léandre and Fritz Hauser. 1998,	Quartet Noir,	Victo cd067. With Joëlle Léandre, Marilyn Crispell and Fritz Hauser. 1998,	Live,	SR 2. Duo with Fritz Hauser. 1999,	Xylem,	stv/asm 003. With ARTE Quartet. 1999,	Blue log,	For 4 Ears CD 1137. Solo. 1999,	Screen: festival concepts of doing 1999,	concepts of doing cod005. 2000,	Nach der stimme,	Concepts of doing 006. With Felix Philipp Ingold. 2001,	Wing vane,	Victo cd079. With Jacques Demierre and Barre Phillips. 2001,	Out of sound, Leo LR CD337. Newton/Léandre/Leimgruber. 2001,	Timbreplus, ARBE 11. Timbre with Hauser, Léandre, Leimgruber. 2001/2002,	The difference between a fish,	Potlatch P 302. Doneda/Leimgruber/Rowe. 2002,	e_a.sonata.02,	For 4 Ears CD 1447. Urs Leimgruber/Günter Müller/Arte Quartet. 2003,	ldp - cologne,	psi 05.03. Urs Leimgruber/Jacques Demierre/Barre Phillips. 2004,	La_fourmi,	Creative Works CW 1044. Doran/Hauser/Leimgruber/Pfammatter. 2004,	Lugano,	Victo cd096. Quartet Noir. 2006,	Oullh d'baham, Euphorium Records EUPH 010. Ember. 2006,	Live scenes 2006, Euphorium Records EUPH 017 DVD. Includes performance by Ember. 2006,	Solo: 13 pieces for saxophone, Leo LR CD498. 2007,	Twine,	Clean Feed CF194CD. Duo with Evan Parker. 2008,	Love letters to the President,	Intakt CD 154. Schweizer Holz Trio. 2008,	Albeit,	Jazzwerkstatt JW074. With Jacques Demierre and Barre Phillips. 2008,	Aurora arona,	Creative Sources CS 167CD/AH18. EMBER. 2008,	Willisau,	Intakt CD 170. OM. 2008,	Dörner/Leimgruber/Landfermann/Lillinger,	Creative Sources CS 210. 2009,	Chicago solo, Leo LR CD570. 2009,	HIN,	Creative Sources CS 159. Urs Leimgruber/Ulrich Phillip/Nils Gerold. 2009,	MMM Quartet Live at the Metz Arsenal, Leo LR CD631. Léandre/Frith/Curran/Leimgruber. 2010,	13 miniatures for Albert Ayler, Rogueart ROG-0040. Various musicians. 2010,	Montreuil,	Jazzwerkstatt JW125. With Jacques Demierre and Barre Phillips. 2011,	The pancake tour,	Relative Pitch Records RPR1007. Urs Leimgruber/Roger Turner duo. 2012,	1→3 =2:⇐⇒1,	Jazzwerkstatt JW156. With Jacques Demierre and Barre Phillips. 2012,	The spirit guide,	Creative Works CW 1062. Urs Leimgruber/Roger Turner duo. 2014,	Lightnings,	Wide Ear Records WER018. Urs Leimgruber/Alex Huber duo. 2014,	Pale white shout,	Jazzwerkstatt JW170. Duo with Andreas Willers. 2014,	Oakland/Lisboa, Rogueart ROG-0063. MMM Quartet. 2015,	Cold duck, Monotype Records Mono 896. S4: John Butcher/Christian Kobi/Hans Koch/Urs Leimgruber. ?,	Empiricism in the west,	Relative Pitch Records RPR1016. Vinny Golia/Urs Leimgruber.